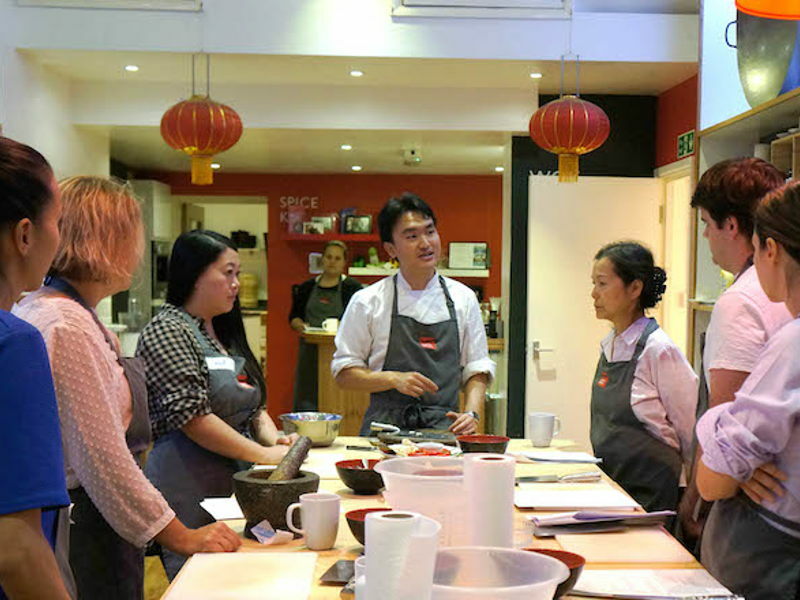 Pleased to have him join our School of Wok team, offering his insight into Malaysian flavours with his masterclasses, we sat down to find out a bit more about Guan's background and inspiration behind his passion to highlight Malaysian Nyonya cuisine; one which is uniquely influenced by Southern Chinese cuisine. SOW: When did you first realise that food was so important to you? If you grew up in Malaysia as I did, one thing becomes clear from a very young age: the country is obsessed by food! Breakfast, lunch, dinner or supper – Malaysians are eating all the time. It's in our DNA. In such a food-centric culture, I realised from the moment I could feed myself the importance of food in keeping families grounded and bringing people of all walks of life together. If the opportunity ever came along, I knew a life in food was something I eventually wanted to pursue and make a career out of. SOW: Can you tell us a bit about your family background? How is Malaysian Nyonya cuisine different from other types of Malaysian food? Although I grew up in Malaysia's capital of KL, all of my family's roots are from the northern island of Penang. In addition to being famous for its street food, Penang is one of the strongholds of Nyonya cuisine in Malaysia. Nyonya food can be traced back to the 15th and 16th centuries. At the time, there was a very active spice trade between India and China which saw merchant ships pit-stopping at Malayan port towns such as Penang. This triggered a wave of immigration from the South of China to Malaya. As these Southern Chinese immigrants settled in Malaya and married into local families, a new breed of local cuisine combining Chinese and Malay influences emerged. All this makes for a subset of Malaysian food with a balance, depth and complexity of flavours like no other. SOW: What drew you to hosting supper clubs, rather than say, working as a restuarant chef or a private chef etc? Supper Clubs allow for an informal, interactive environment in which guests not only get to taste the food, but they can also hear the stories behind the dishes, see how the dishes are prepared and really immerse themselves in a new food culture. Seeing like-minded guests bond over a meal I have prepared has got to be one of the most rewarding of feelings. It's a dynamic no restaurant environment or private dining experience can match! A super-quick and easy sambal fried rice, using up all the bits and bobs leftover in my fridge! SOW: Three ingredients that are always in your fridge? Lemongrass, red chillies and limes - all cornerstone ingredients of South East Asian cooking. SOW: What is one dish you think everyone should learn to cook? Everyone should learn how to cook up a proper Malaysian 'sambal' (chilli paste)! In addition to being an essential (and delicious) condiment, it forms the building block of a whole plethora of Malaysian and South-East Asian dishes. SOW: What chef, alive or dead, real or fictional, would you want to cook with? Keith Floyd. For me, he will always be the grandmaster and pioneer of the modern day TV chef... the food maverick who dared to travel to parts unknown, discovering and cooking up new cuisines never seen or heard of before. SOW: What is the biggest misconception you have seen or heard regarding Malaysian food? That all Malaysians eat is Chicken Satay with peanut sauce! One of the reasons I started up my Malaysian Supper Club in London was to challenge this misconception and show those less familiar with Malaysian cuisine just how multi-cultural, diverse and steeped in heritage it really is. SOW: Last meal on earth? A big, hearty bowl of Assam Laksa from my favourite stall in Balik Pulau, Penang. Thanks so much Guan, we can't wait to hear more stories about the history of Malaysian cuisine next month (plus are mouths are watering already).